The biggest cause of hyperpigmentation is the sun, or UV damage. Scarring, acne blemishes, and other forms of skin irritation can also up your risk of hyperpigmentation. Asians are more prone to dark spots due to genetics. Treatment options include prescription-only 4% hydroquinone or skincare products with potent polyphenols (antioxidants). Hyperpigmentation is an increase in the skin’s normal pigmentation in a particular area. There are many different skin colours, but it does not refer to any specific colour. If you have hyperpigmentation, it’s just due to more colour than you normally would have in a particular area. This can be caused as a result of exposure to harmful UVA and UVB rays, acne scarring, age spots and hormonal changes. There are many different dark spots that can appear on the skin. Melanin is responsible for the colour that we see on our skin, including pigmentation spots, but different dark spots have different triggers. Appears symmetrically on the upper lip, cheekbones and the lower chin in women over 20. Triggered by hormonal changes and is worsened by UV exposure. There is also a type that occurs only when pregnant or taking birth control pills and some other medications that impact hormones. In this case the discolouration will usually disappear once the pregnancy is over or the person stops taking the drugs. These little spots are inborn and start appearing around the age of three and most prominently around puberty. After you hit 30, they remain more or less the same or become a little lighter. Their relationship to UV rays is still not clear. 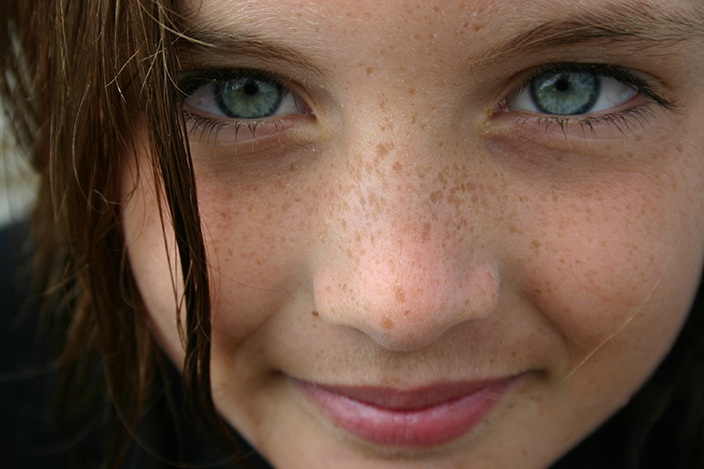 People with fair skin, red hair, blond hair or blue eyes are more prone to them. Melanin is the dark pigment that is produced by your skin as a response to assaults from the environment – These include UV radiation, infections, allergic reactions and wounds. – Melanin is also what gives your skin its natural colour. 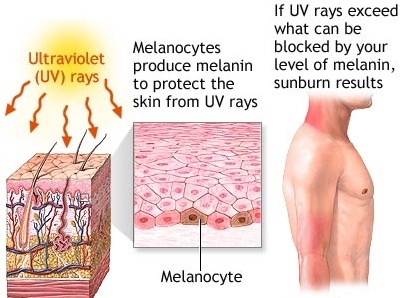 Melanin is formed by specialised, pigment-producing cells in the epidermis called melanocytes Each of these cells touches many other epidermal cells – keratinocytes – in order to distribute melanin. 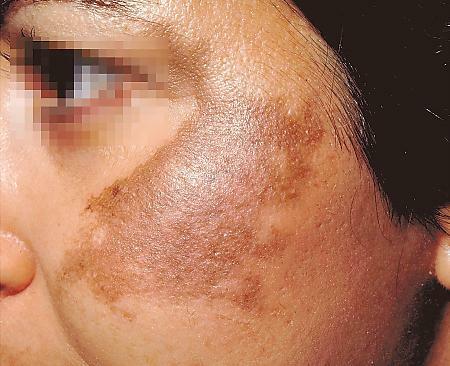 When the skin is damaged, it triggers a defensive reaction – This sends signals to melanocytes to start taking measures. – As a result, melanocytes release melanin, which works its way up to cap off the top of a skin cell’s nucleus. Whether pigmentation can be effectively treated depends on how it is first caused. Hyperpigmentation as a result of scarring, allergic reactions, infections or other irritation with topical skin care. Damage to Asian skin more easily produces signals that affect the whole network of cells which leads to melanin production and distribution in skin. 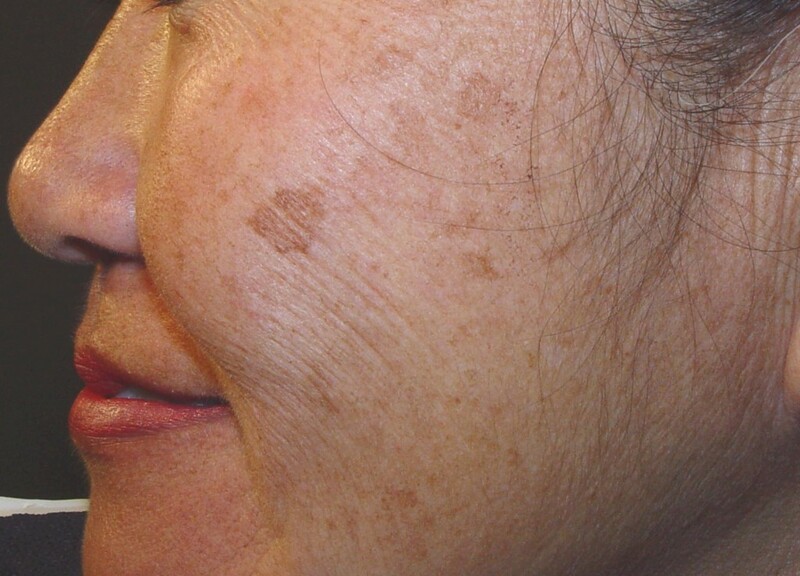 In Caucasian women, hyperpigmentation appears in areas of sun damage as age spots, often following the formation of wrinkles. In African-American women, hyperpigmentation often results from acne scarring. For Asian women, their age spots appear earlier than Caucasians and often without wrinkles. And Hispanic women also have clusters of melanin they call mancha. Although there are many different causes of hyperpigmentation, sun damage is the biggest culprit. The people who used to sunbathe for hours when they were younger are now regretting it, as the results of UV damage, also known as age spots start to appear. One of the “gold standard” prescription treatments is 4% hydroquinone, only available when prescribed by a doctor. Alternative effective topical treatments include cosmetic products containing potent antioxidants to help even skin tone. Scientists recognise that melanins form due to oxidation reaction. 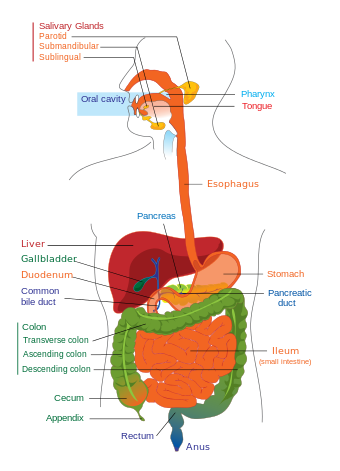 In this reaction, colourless nutrients are converted into a coloured pigment called melanin. This whole series of reactions is facilitated by the enzyme tyrosinase. These all have shown some success in improving uneven skin tone. Most notably, the antioxidant which is abundant in the Dianella Ensifolia plant together with other powerful ingredients rivals the performance of 4% Hydroquinone for evening skin tone. But in short, prevention is the best cure. Make sure you apply sunscreen before leaving the house and try to stay out of the sun as much as possible to lower your chances of getting hyperpigmentation. What else do you do to avoid hyperpigmentation? Share with us in the comments below or on our Facebook page!